This post was updated in 2017 with the new Bramble Berry Lye Calculator design. 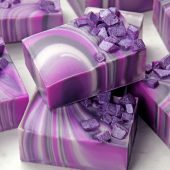 Customizing soap recipes is one of the many advantages of making products from scratch. 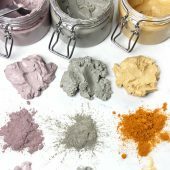 There’s a lot of joy in experimenting and finding the perfect combination of ingredients that make your skin feel great. 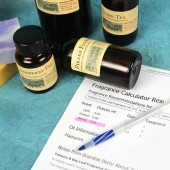 The Bramble Berry Lye Calculator makes it easy to do just that. You can find it near the bottom of the homepage in the pink area pictured. 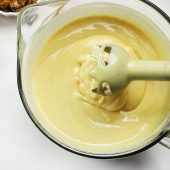 All you have to do is plug in your oil and superfat numbers and the calculator determines how much liquid and lye you need for the recipe. 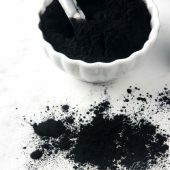 Before getting started, make sure to review this post on lye safety. Learn how to use the calculator below. 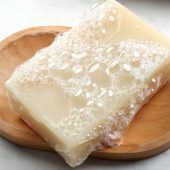 Note: Liquid soap is made with potassium hydroxide lye, solid soap is made with sodium hydroxide lye. 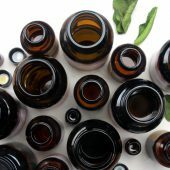 TWO: The oils are listed in alphabetical order. Find the ones you plan to use and enter the amount in the box to the left. Click “Next” at the bottom of the list. 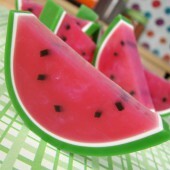 THREE: Your recipe will appear. 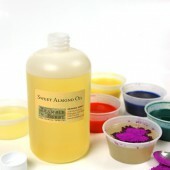 The lye and liquid amounts are listed at the top, followed by the ounces or grams and percentages of oils you chose. 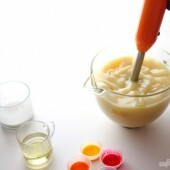 FOUR: It’s easy to edit your recipe. 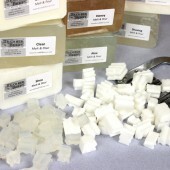 If you want to change the type of soap, unit of measurement, superfat, or oils, select “Edit” next to the numbers. You can also click the “Ounces Grams” button to change the unit of measurement. 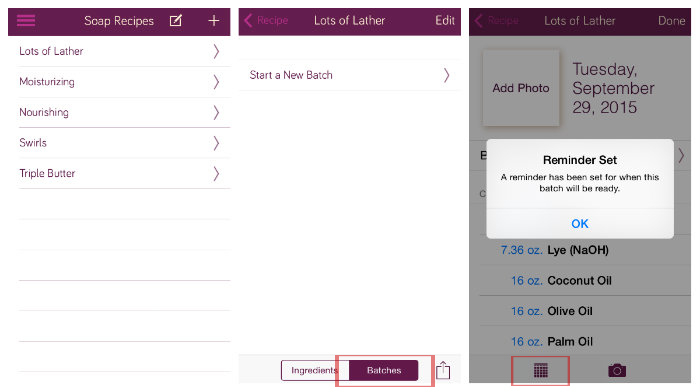 FIVE: If you need to adjust the size of your recipe, select the “Resize Batch” button and enter a new oil weight. If you need help figuring out what to plug into the Lye Calculator, we’ve got you covered. 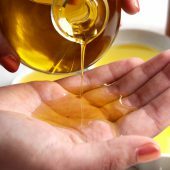 The Common Soapmaking Oils post talks about the properties and shelf lives of the oils we carry, as well as how much to use in your recipe. 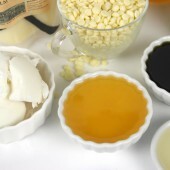 The Formulating Cold Process Recipes post has great tips as well. 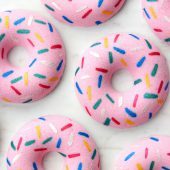 If you need to resize your recipe, this post shows you how. 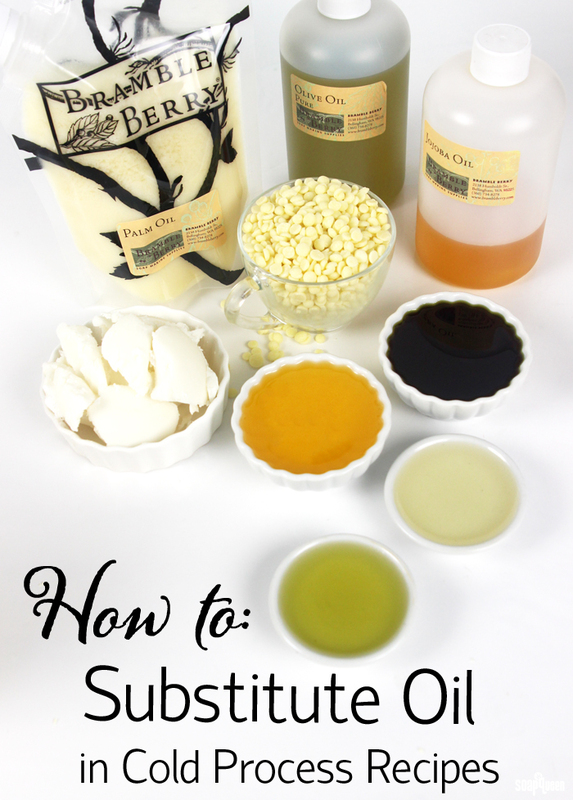 The superfat level is the amount of leftover oil in your recipe that’s not turned into soap. 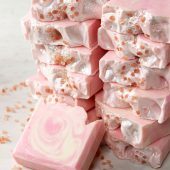 Essentially, it’s free-floating oil that adds extra luxury to your bars and acts as insurance in case of small measuring mistakes. 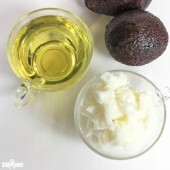 Learn more about superfatting in this post. 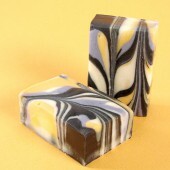 We typically superfat our recipes at 5% because it adds moisture without making the bars too soft. That’s a good superfat level to use if you’re just getting started. 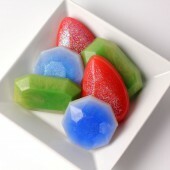 You may find you like the level lower or higher as you continue to work on your recipe. 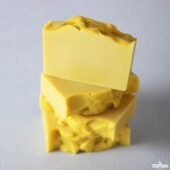 Right now the calculator only goes up to 10%, so if you want a higher superfat you’ll need to find that amount manually. 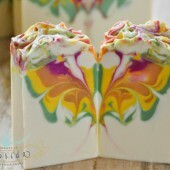 Not to worry, the 100% Coconut Oil and Annatto Soap tutorial shows you how. 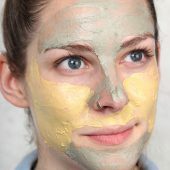 The Bramble Berry App has been available for about six months now, and I’ve been so happy with the response! 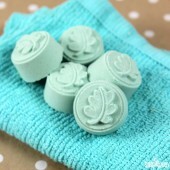 I love that crafters have a free tool and resource to bring all things soap to their finger tips. The app started as a concept to create a handheld Bramble Berry Lye Calculator. 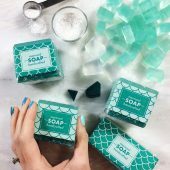 It soon grew into a full-scale tool to keep up with Soap Queen and Bramble Berry on Facebook, Instagram, Pinterest, YouTube, Twitter and Tumblr! 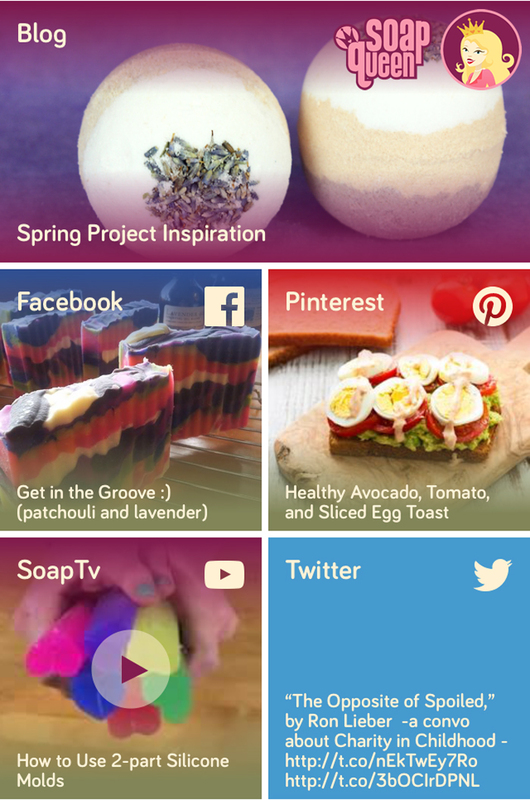 It is the perfect app to get soapy inspiration and create and collect recipes. Currently the app is only available for iOS, but may be available for other platforms in the future. 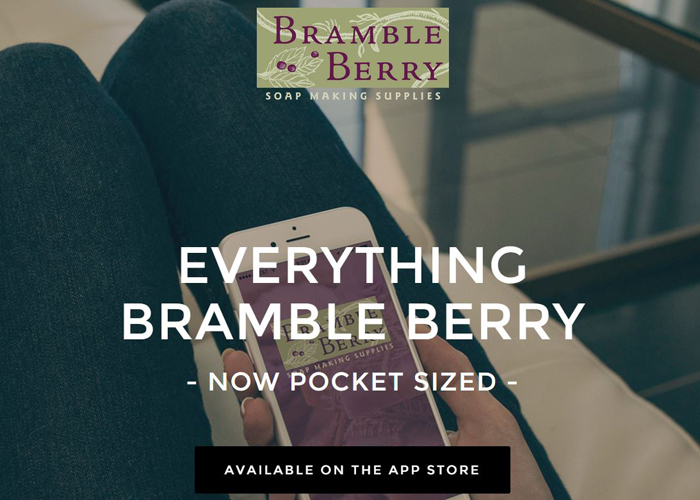 If you’ve downloaded the app you may be wondering, “What now?” First, log into the Bramble Berry Soap app. 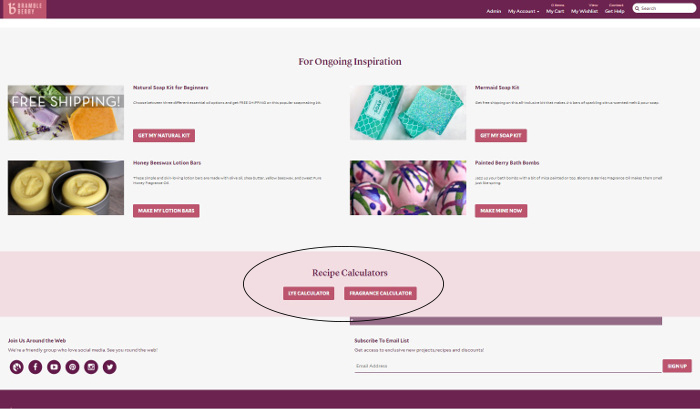 This allows you to save your recipes in the Lye Calculator. On the left in the photo below is the home screen of the app. 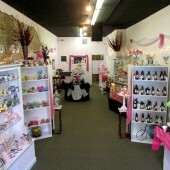 In the upper left hand corner (notice the big arrow!) you’ll see a drop down icon. Tap the icon, and you’ll be directed to a plethora of options, including being directed to the blog, social media outlets and the Lye Calculator (see image below on the right). From this menu, select “My Accounts,” near the bottom. Once you select “My Accounts,” you’ll be directed to a screen that shows you several account options. 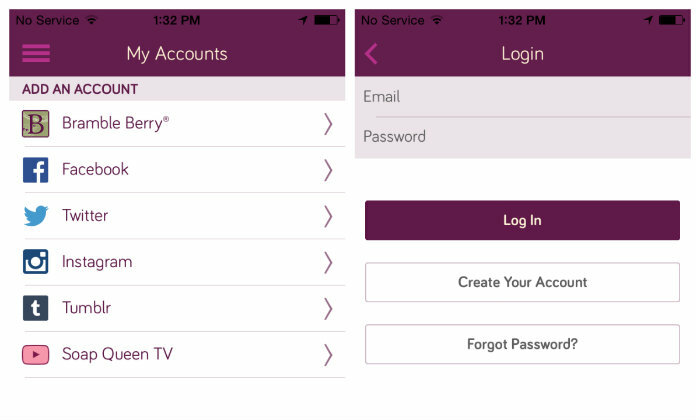 Login to your Bramble Berry account by entering your email and password that you use on the Bramble Berry site. Once you do, you’ll notice that your shopping cart will update. If you’d like, link to your social media accounts by clicking on the social media outlet and sign in. You may find that you need to allow Bramble Berry access to these apps in the Settings of your phone. Being logged into social media outlets allows you to interact with us on social media through the app. For example, you can like photos on Instagram on the app (see image on the left below). 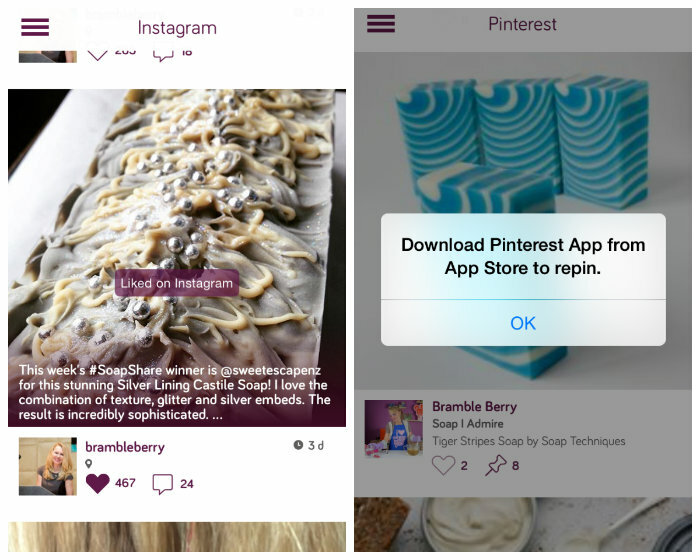 However, some outlets like Pinterest will not allow you to interact with the content on the app, and prefer you to use their app instead (see image on the right). This will continue to change as different social media outlets update their API (fancy way of saying that they’ll update their code to allow interaction for their platform within our app). 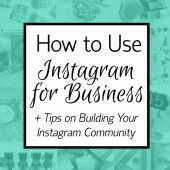 You can easily interact with us on social media outlets such as Instagram on the app! Without a doubt, my favorite feature of the Bramble Berry App is the Lye Calculator, which is available for purchase in the app. 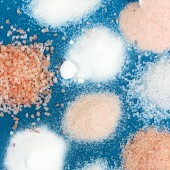 It’s so nice to be able to formulate and save cold process recipes. 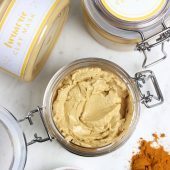 The calculator figures in grams, as well as ounces. 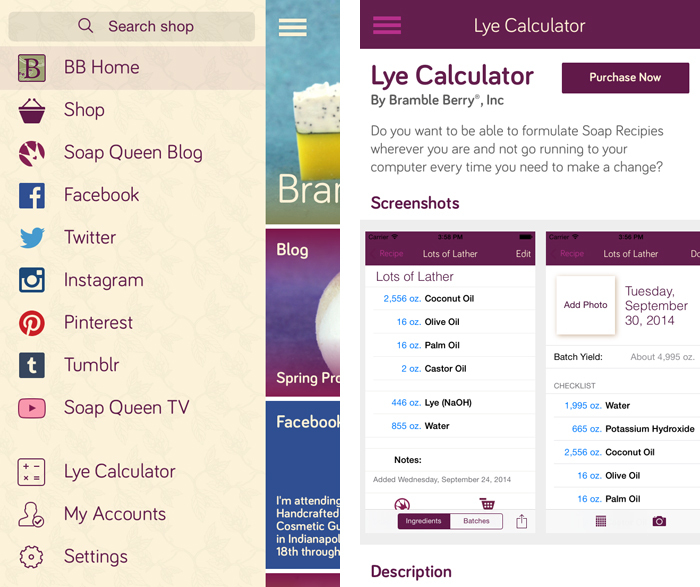 If you have already purchased the older Soap Calculator app, feel free to contact info(at)brambleberry.com and we can activate the lye calculator on the new app for you. No need to pay twice! 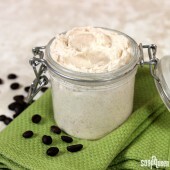 The Lye Calculator includes three of my favorite cold process recipes: Lots of Lather, Moisturizing and Nourishing. 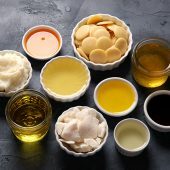 These recipes can be easily customized by entering your own measurements for each oil, as well as adding adding new oils or butters. 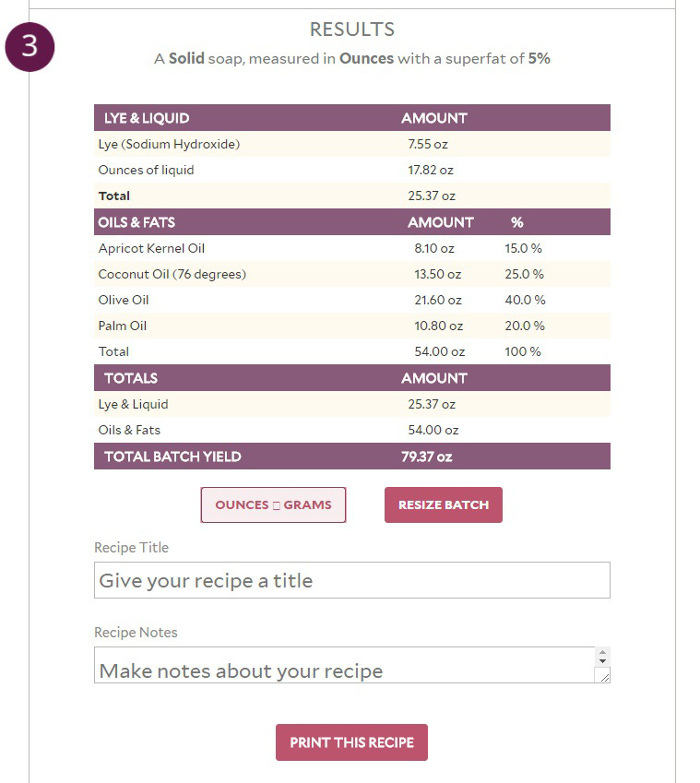 The calculator automatically updates the amount of lye and water needed for each recipe once an oil is updated, deleted or added. 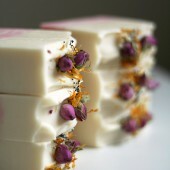 Let’s try editing the “Lots of Lather,” recipe. You can see the original recipe below on the left. In the upper right hand corner, tap “Edit”. There, you have the option to delete an oil, edit the oil or add a new oil. Let’s add a new oil! 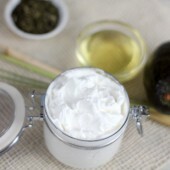 Once you select, “Add New Ingredient,” you will be able to select from a wide variety of oils and butters. 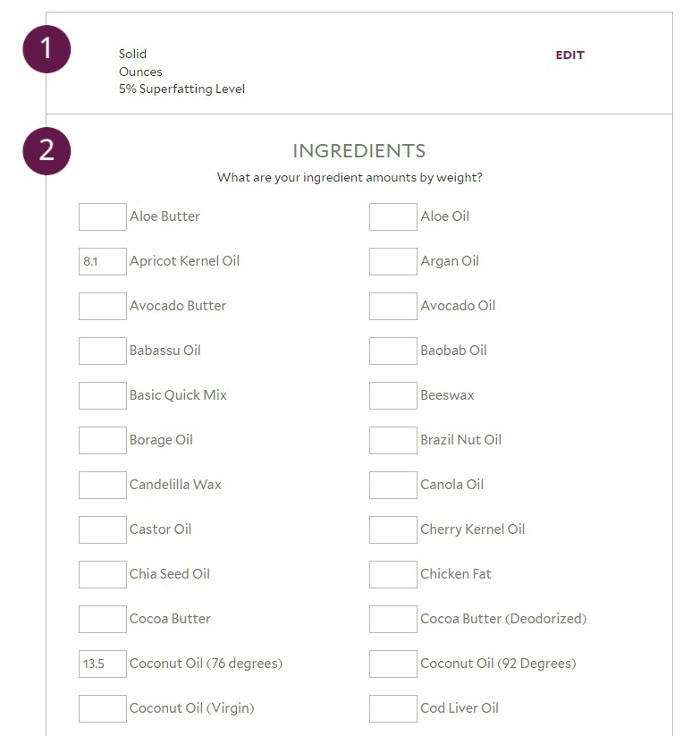 Select the butter or oil you’d like, and enter the amount in ounces or grams. Below on the left, I added 3 oz. 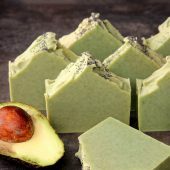 of Avocado Butter to this recipe. On the right, you can see the lye and water amount has automatically updated. 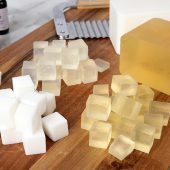 You can also edit the superfat percentage, or calculate liquid soap recipes! 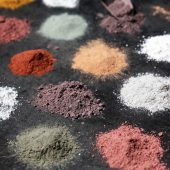 Creating your own recipes with the calculator is super easy as well. 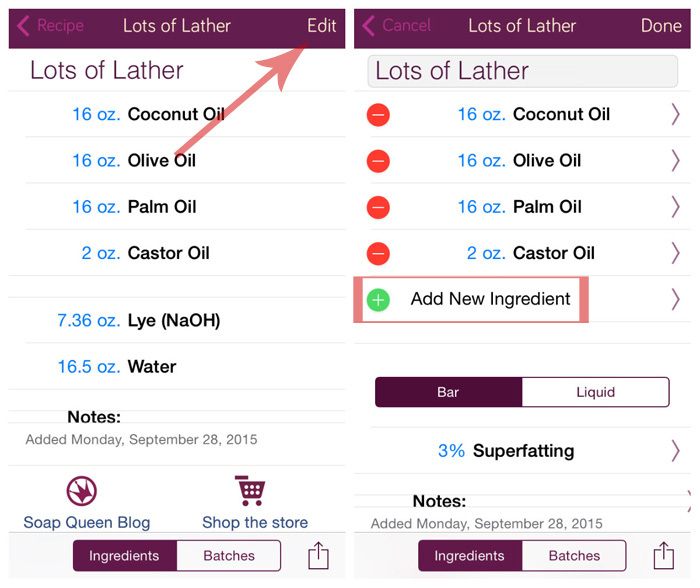 To add a recipe, click “Lye Calculator,” then tap the “+” icon in the top right corner. 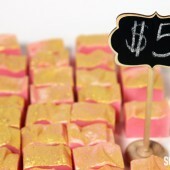 Once you complete a batch, you can set a reminder for when the batch is done curing. To set a reminder, first select the recipe. 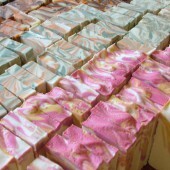 In this case, I selected “Lots of Lather.” Then, at the bottom of the screen, select “Batches” (see middle photo). Then click on the calendar icon in the bottom left corner (see right photo). 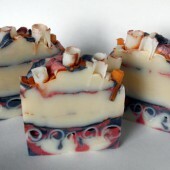 Once you do, a notice will pop up that says “Reminder Set: a reminder has been set for when this batch will be ready.” This reminder defaults for 6 weeks, which is when the soap will be fully cured. 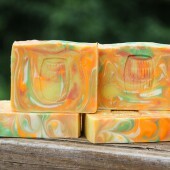 You can also take photos of each individual batch. 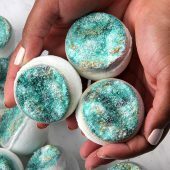 The app also has the ability to notify you when a new Soap Queen blog post goes up (see photo below), or when your Bramble Berry order has shipped! Personally, when I buy something online I am constantly checking to see if it’s shipped, or when it will arrive to me. Receiving packages is so fun! To receive notifications from the app, make sure the “Allow Notification” setting is turned on for the Bramble Berry App. This can be turned on in the main Settings area of your phone. 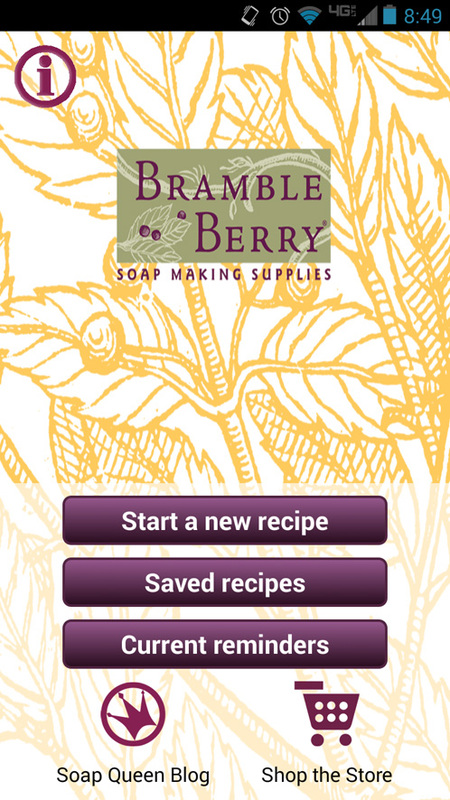 I’m so excited to announce that the new Bramble Berry app is ready to download and use! The team and I have been working on this app for months, making sure it is easy to use and full of resources. Best of all? It’s free to use! Click here to learn more about the app, and click here to download on iTunes. Currently the app is only available for iOS, but may be available for other platforms in the future. 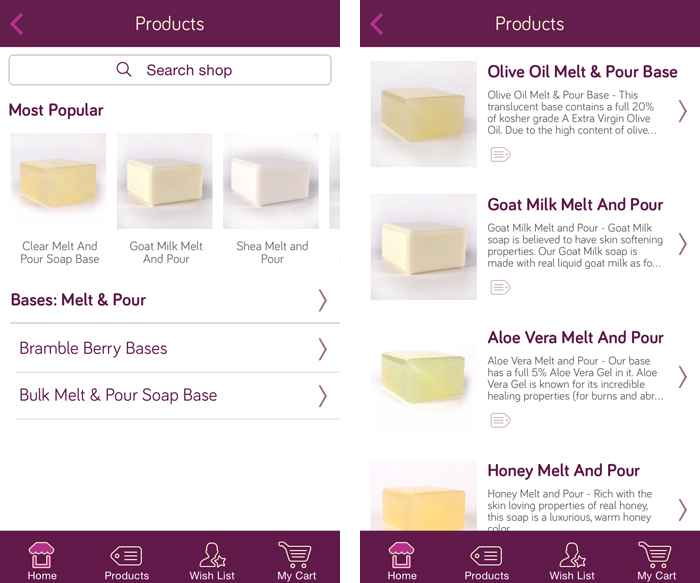 The new Bramble Berry app allows you to easily shop Bramble Berry from your phone. 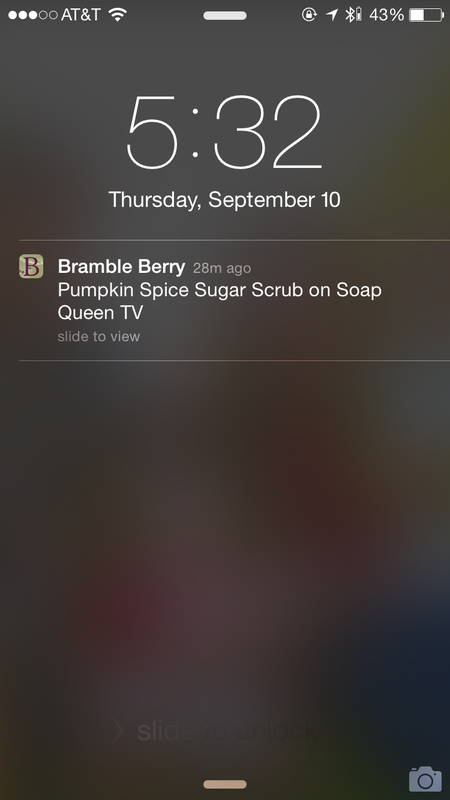 In the app, you can also access your Bramble Berry wishlist and check the status of your orders. The app allows you to browse the website just as you would on your computer. 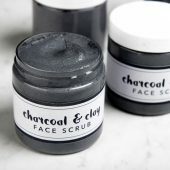 You may shop via the search function on the top, or via featured products and categories. 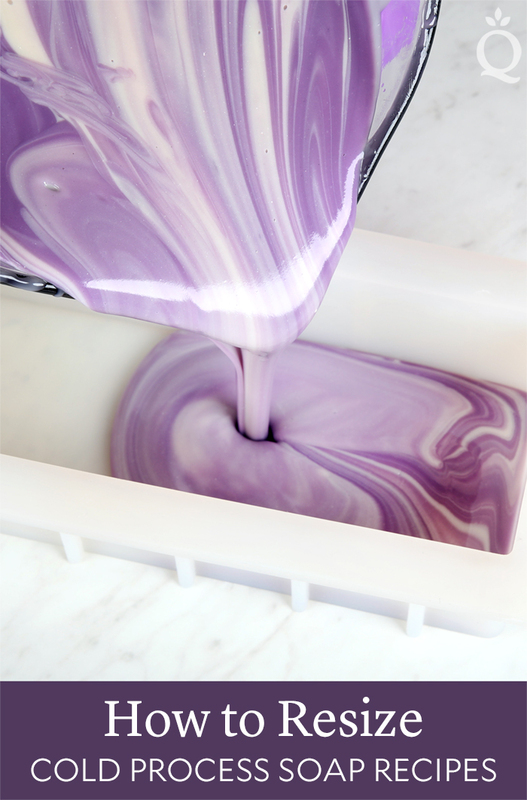 Below, is an example of what the melt and pour base section looks like on the app. 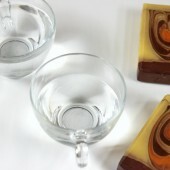 On the left is the general category page for melt and pour bases. Once you select “Bramble Berry Bases,” it takes you to the page shown on the right. 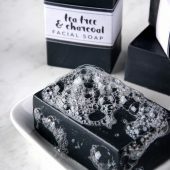 From there, you can click on individual products for more information, or to add to your cart and wishlist. 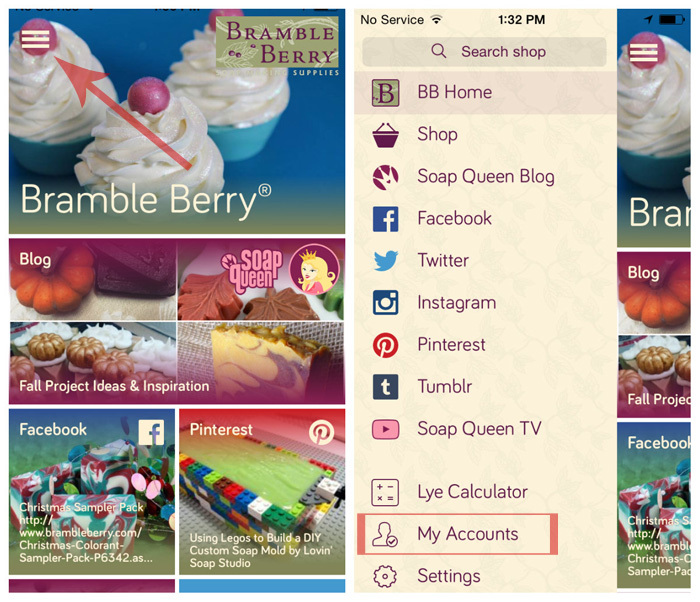 In addition to easy Bramble Berry shopping, the app enables easy browsing on Bramble Berry social media outlets, including the Soap Queen blog. 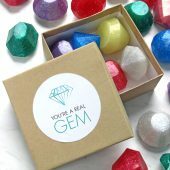 While browsing the blog via the app, you can comment on blog posts and email them to yourself to bookmark and read later. On the left, you can see that each blog post is easily accessible by scrolling. Once you select a post, you are taken to the post in full screen. See the little share icon on the very top right? Click that to send the post via message, email, Twitter and more. 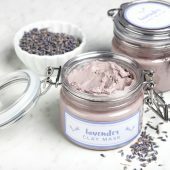 Want to connect with other soapers on the Bramble Berry Facebook page? You got it! 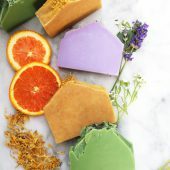 The app connects directly to the Facebook wall, allowing you to scroll through the inspirational soapy photos posted by the soapy community. 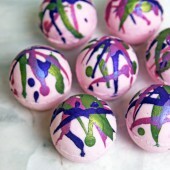 Want more crafty inspiration? 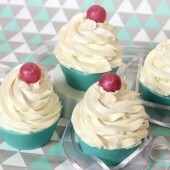 The new app also connects to the Bramble Berry Pinterest, Instagram and Tumblr page. Below is a photo of what the social media outlet navigation looks like. 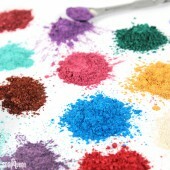 The images update automatically with new blog posts, pins, tweets, ‘grams and posts on the Bramble Berry Facebook wall. 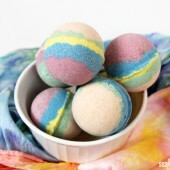 Several of the social media outlets including Pinterest and YouTube have interaction limitations. For example, when viewing Pinterest you are not able to like or comment, and YouTube does not show our responses. We are aware of these issues, and are looking into ways to get them fixed. The new Bramble Berry app also connects to the Bramble Berry lye calculator app, which is available for purchase. 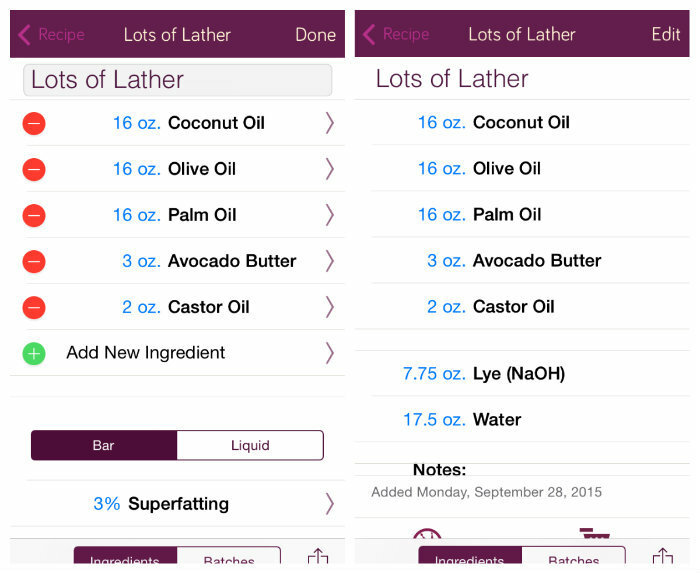 Having the lye calculator on your phone makes re-sizing and formulating recipes on the go simple. 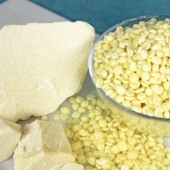 The calculator figures in grams, as well as ounces. 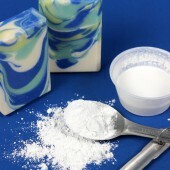 If you have already purchased the older Soap Calculator app, feel free to contact info(at)brambleberry.com and we can activate the lye calculator on the new app for you. In the photo on the left below, you can see the lye calculator in the menu near the bottom. 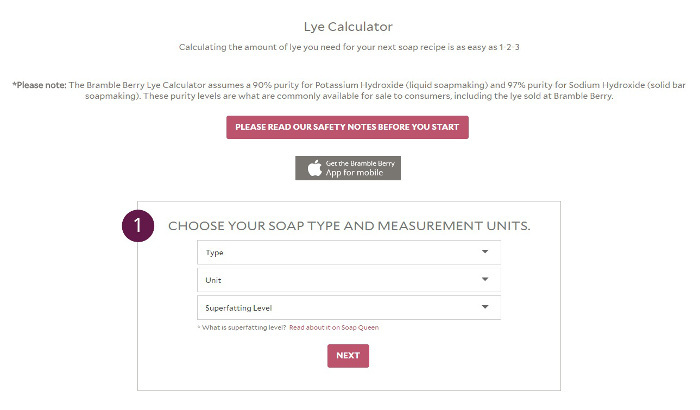 Once you click “Lye Calculator,” you will be taken to a screen to purchase and download. So whatcha waiting for? Click here to download to view in iTunes. 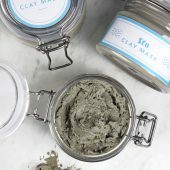 After you’ve used the new app, I’d love to hear what you think! 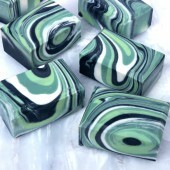 Soapmaking inspiration can strike anywhere. 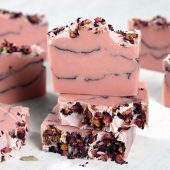 Sometimes you’re stuck in traffic, waiting for an appointment or idly daydreaming about your next soaping session when the idea for the perfect recipe hits you. You may not be near a computer, but chances are you probably have your phone on you. 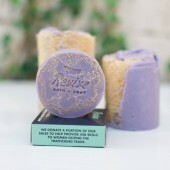 That’s where Bramble Berry’s Soap App comes in handy! We released an iPhone version last year, but now Android users can get in on the fun too. 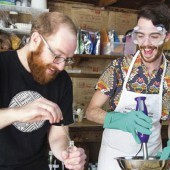 After a pretty hefty rework and lots of added features, the latest version of the app will make it easy for you to formulate soapy recipes wherever you are. The app is like a mini version of our lye calculator, only better! 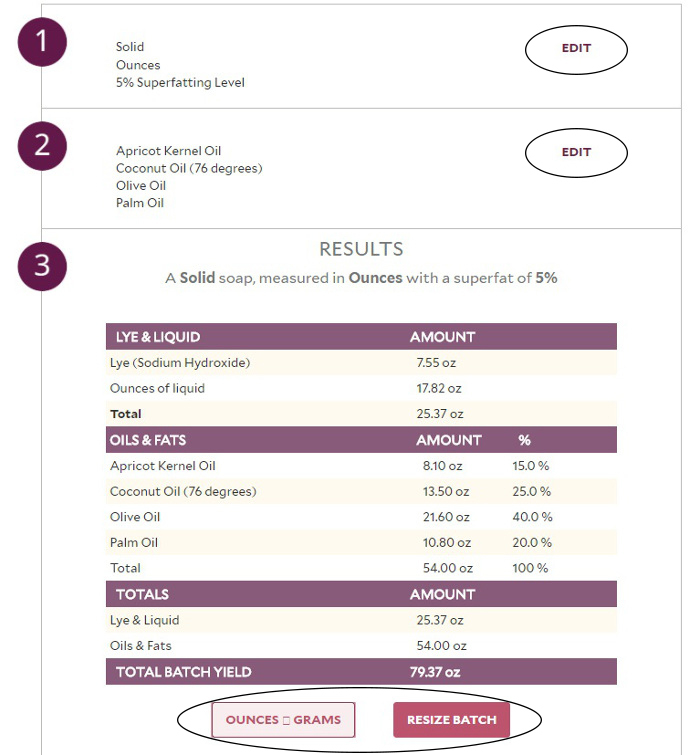 It will accurately calculate saponification (SAP) values for more than 60 oils with superfatting ranges up to 20% AND save recipe and batch information. The app is available on any device running the Android platform (including tablets!) for $1.99. To download it, simply visit the Google Play store on your device and search ‘Soap app‘. 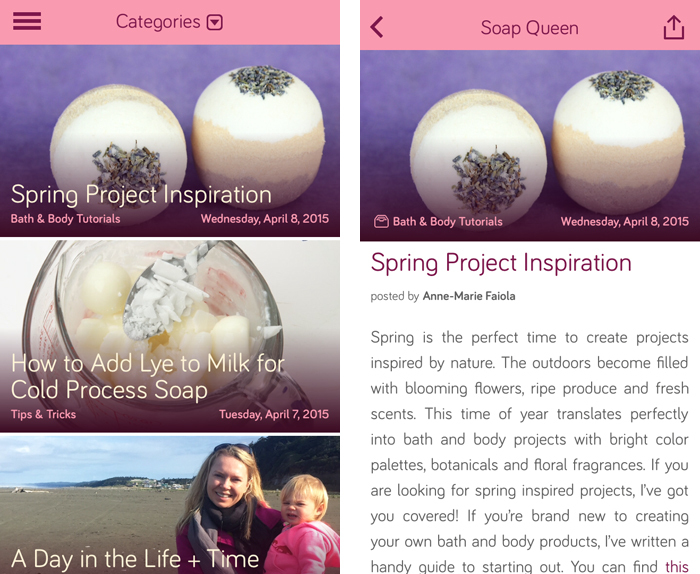 Then, read on to learn all about the app’s new features.